As Australia is a country that was settled largely in part by convicts exiled there from Great Britain it is only natural that the Western world strongly influences the traditional wedding of two Australians. On the other the indigenous peoples of Australia, the Aborigines, have their own wedding culture steeped in history and tradition. A traditional wedding observes many of the customs of Great Britain and is conducted in much the same way as a wedding in the U.S.A. and U.K. 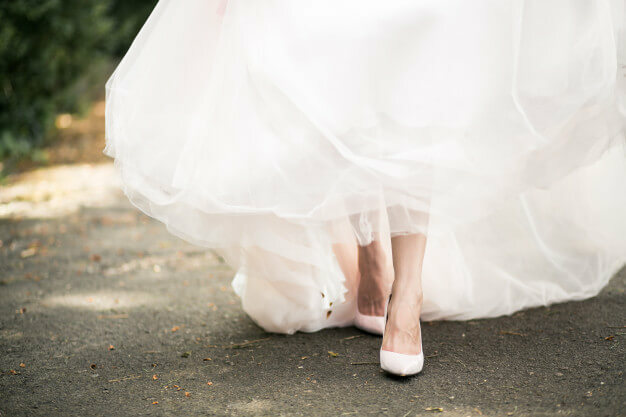 The bride may choose to wear a white wedding gown, vows are exchanged, rings are worn, and a reception where the newly married couple will enjoy a meal with their guests before dancing the first dance is common. The joint cutting of the wedding cake is also a typical custom at an Australian wedding. In some wedding ceremonies a bible is gifted to the newlyweds, and is intended to be a family heirloom in which they can enter the births and deaths and other major events in their lives, and then pass it down to the next generation to follow the tradition. Australians tend to be less formal when it comes to major events such as a wedding, and due to the warmer climate many weddings and receptions are conducted outdoors. Occasionally the bride, groom and their families will elect to have a more formal wedding ceremony but the reception is usually a lighthearted affair with plenty of alcohol, music and dancing. The couple’s religious beliefs may influence whether they elect to have a church wedding or be married by a marriage celebrant. Theme weddings are becoming somewhat of a trend although the traditional white wedding is still by far the most popular ceremony conducted, in which the bride will wear a traditional white wedding gown and the groom a tuxedo suit. Theme weddings range from small embellishments to the cake and décor to compliment the theme, all the way up to a full-scale wedding that includes non-traditional attire, décor and ceremony. Where once the wearing of a white bridal gown signified the bride’s purity today it is the accepted standard that a white gown be worn by the bride regardless of her virtue being intact or not. For those with strong religious beliefs however, the wearing of white to signify purity is taken very seriously even today, though this is becoming increasingly uncommon. Aboriginal wedding ceremonies often follow Western culture as like so many other indigenous peoples throughout the world the Australian aborigine have adopted many of their Western counterpart’s customs and traditions as their own. As the aborigine struggle to keep their rich heritage alive the traditional ways are being forgotten and rarely followed. However Australia is not really a global fashion center just yet so it has huge potential in going back to its roots. One of the aboriginal wedding customs that still is sometimes observed is the wishing stones ceremony. Every member of the wedding from the bride and groom right down to the youngest guest is given a stone. When the wishing stones ceremony is conducted it is typically near a large body of water such as a lake or river, or in the case of coastal weddings the ocean, but when no large body of water is available a large tub of water can be used as a suitable alternative. Each person tosses their stone into the water and makes a wish for the bride and groom. It is said that the ripples that occur when the stones hit the water is a sign that the wish is being granted. A modern twist on this lovely ceremony is to have the guests write their name and their wish (in one word such as health, wealth, etc) on the stones in waterproof ink and then the bride and groom can retrieve the stones and keep them in a vase or other suitable container.